SweetRush’s first client was in financial services, and they are still a client today and will be in attendance at the conference. These are the kinds of relationships upon which SweetRush and its client-partners thrive. SweetRush Solution Architect Lisa Van-Damme will be on the exhibit floor at the 16th Financial Services Learning & Talent Development Innovations, answering questions and demonstrating our award-winning breadth and depth of experience working with learning and development professionals in the financial services industry. Are you curious about emerging technologies and eager to experiment? Our SPARK team can open up a world of exciting possibilities for you with virtual reality, augmented reality, mixed realities, and artificial intelligence. Despite the buzz around emerging technologies, we are also aware of the many misunderstandings that still abound around the topic, which is why we've also created a one-day workshop to guide newcomers in their first steps towards tech-aided learning. In need of exceptional talent to augment your L&D team? Our Talent Solutions team has an outstanding bench of professionals who can step in quickly to help make your initiatives happen. If you view culture as a business imperative, our Cultural Transformation team can engage with your teams, leadership, or the enterprise through high-energy workshops, targeted communications, and change management. Are you planning to attend? 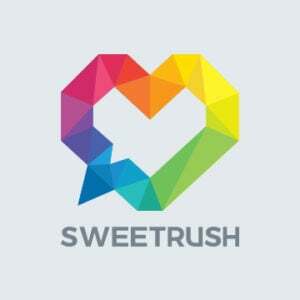 Reach out to us at info@sweetrush.com, we'd love to say hello!